It is a well-known fact that your car owner’s manual is the instructional resources which is specific to the car. The good thing about this booklet is that it contains all significant details to make everyone a good car owner or driver. Apart from that, it also includes troubleshooting and maintenance guidelines. If you want to become a good car owner, you should look at the owner’s manual. There are lots of valuable reasons to read the manual. Some of the major benefits of reading this manual are that it will save you time and money in a long run. This post shares you some reasons to read the owner’s manual. If you take some preventative measures for your car, it will avoid various hassles. It also allows you to catch the problems in advance and ensure that they are easier and cheaper to fix. The regular and proper maintenance will increase the durability of your car. It results in better performance and better resale value. The well-maintained vehicle is not only saving your money on costly repairs but also save you more on the fuel costs. 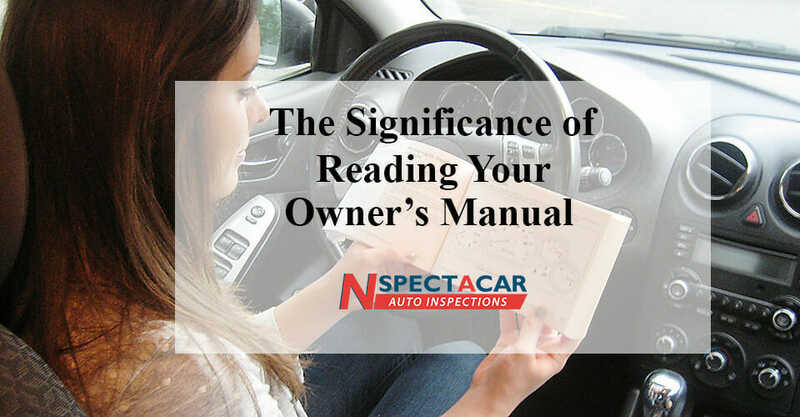 It is highly recommended to look at the service manual of your car. It let you know the maintenance schedule. The owner’s manual has many recommendations that will avoid unnecessary oil changes and maintenance. With owner’s manual, you can easily budget your repair expenses and car maintenance. You can ensure that you are using the suitable gas and engine oil by reading the owner’s manual. When it comes to engine oil instruction, it tells you the technique to check the oil level. The useful guidelines also aid you in using the right type of filter and oil. If you want to bring the most comfortable and safest position in the vehicle, you can check your owner’s manual properly for knowing the right way to adjust both the head restraints and seat positions. The proper adjustments let head restraints will aid in cushioning the spine and head of passengers in case of any crash. Apart from that, it also increases the effectiveness while reducing the whiplash injuries. Another important thing about owner’s manual is that it will guide you to operate your car jack and remove tire easily. It is significant to know that the design and model of every vehicle are different, so it is useful to ensure that you lift the car above at a proper location. You can follow the owner’s manual properly for an exact position for placing your car jack. With the help of the owner’s manual, you can easily make a proper tire change. Additionally, you can understand the importance of checking your tire pressure while replacing the car tire. You can check the owner’s manual to save more money. It allows you to see what parts and services are actually covered by the warranty. Instead of handing over your money to a car mechanic, you can check the manual first. Moreover, you will find the things that never perform which will affect the previous warranties.